RISE, Brighton & Hove’s domestic abuse charity, has announced its signature annual fundraising event, the 8K Undercliff Run for Women. Register before 31st August using the code SUMMER and get a 10% discount on your registration fee. Places are running out fast for the charity run for women with beautiful views and sea air, between Saltdean to Brighton and back. 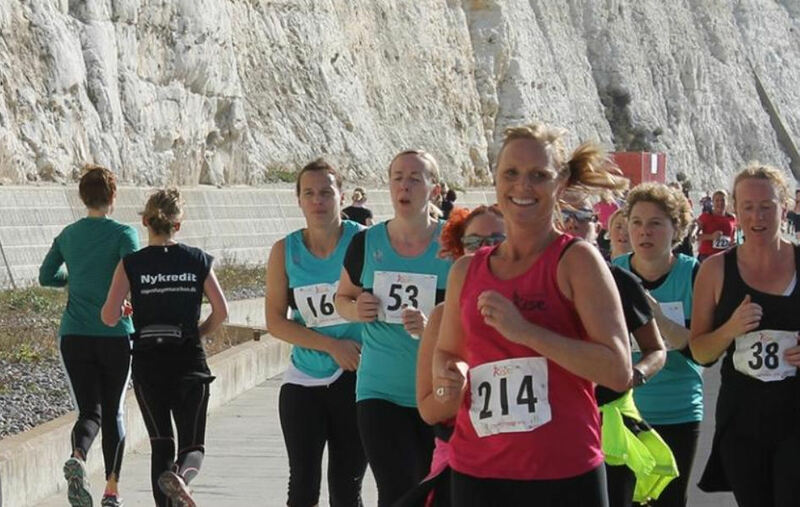 Women can take part in the scenic race along Sussex’s famous chalk cliffs on Sunday 14th October 2018. All the money raised through sponsorship will go directly to services supporting local families affected by domestic abuse including RISE’s domestic abuse helpline (the only one in Sussex), counselling, support groups and a refuge space for those in urgent need. Much of the support RISE offers wouldn’t be possible without the funds raised locally, including the money raised at the 8K Undercliff for Women, which is a popular fixture in the local calendar. You can run the 8K Undercliff Run for Women on your own, find three friends and run it all together, or run in a relay of 4 x 2K! What’s more, there will be fabulous prizes for the winners, as well as goody bags for everyone who takes part. Register for places on the RISE website. For more information please contact Kelly-Marie Blundell on 07897 302804 or Kelly-Marie.Blundell@riseuk.org.uk.